There will be a thousand kisses in a lifetime but only a handful trapped forever in your heart. 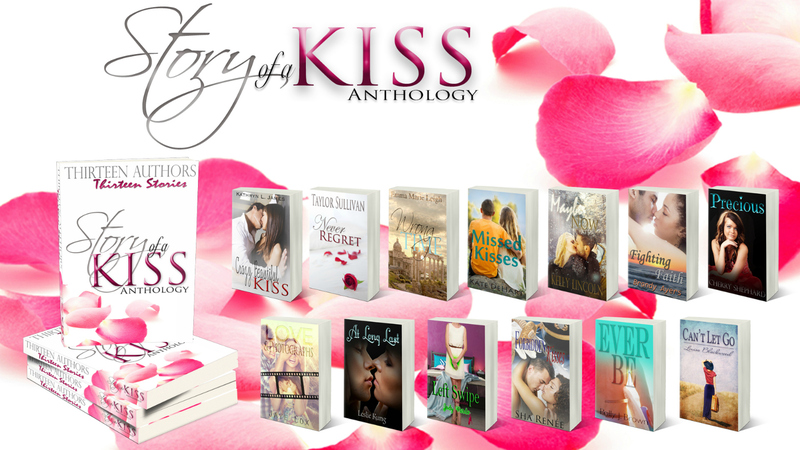 This Valentine's day, join The Story of a Kiss anthology as we take you into the lives of thirteen couples. 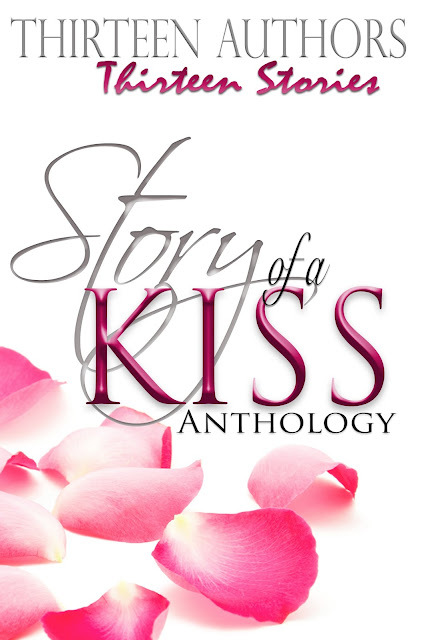 From a very first kiss of a high-school prom queen, to a kiss that travels the width of time. 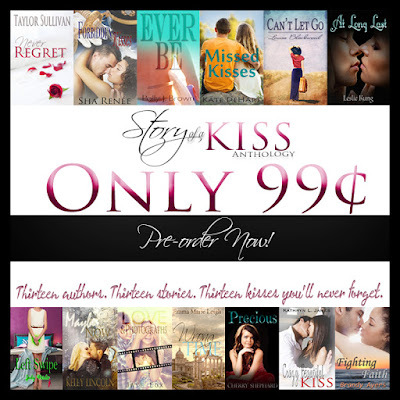 Kisses of redemption, heartache, discovery, and so much more. 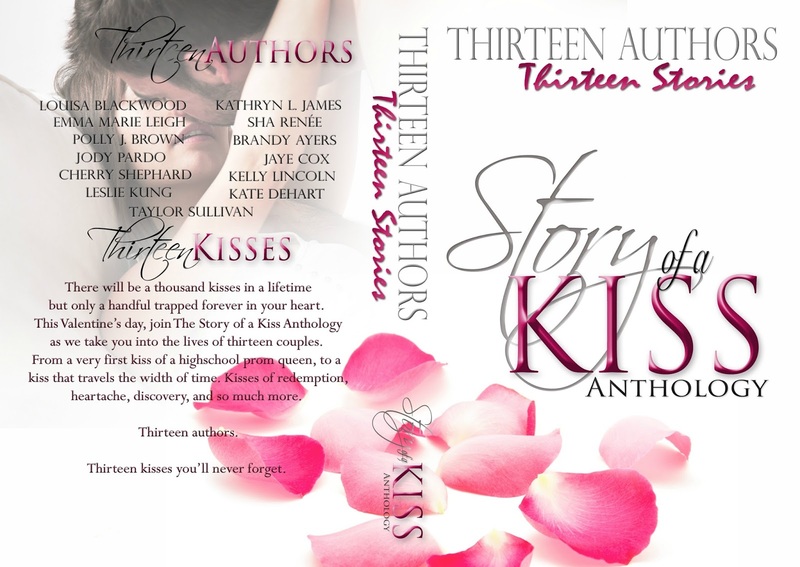 Thirteen kisses you'll never forget. At twenty-four, Margaret Andrews is still a virgin and sick of it. After a year on the top dating site in America, and a late night episode of HUNG on HBO, she's decided to take matters into her own hands and hires a professional. When Hunter finally reveals his feelings for his best friend, Ava, their moment is destroyed by a tragedy. Now adults, a change meeting could be the perfect opportunity for a kiss ten years in the making. Calista and Colin shared a sizzling kiss…one she couldn’t forget and one he didn’t remember. When their paths cross again, an innocent weekend in paradise becomes unforgettable. Ethan is a Navy Officer. Layla is Enlisted. According to rules, any personal relationship between them is prohibited. But can military regulations separate lovers who are destined to be together? Janny and Tom grew up together, but right before their friendship could turn into a budding romance, life and gravity pulled them apart. When the friends reconnected, their chemistry was undeniable--but tragedy put distance between them again. Sometimes it takes a lifetime to finally fall in love. Jo Stevens is an archaeology graduate student on the opportunity of a lifetime- an excavation in Pompeii. When her group discovers a basement, everything Jo knows is rocked. Rules are broken. Lines are crossed. Jo unearths everything she's ever wanted. She's just in the wrong time. Josephine “Joe” Burke has been running since the night her mother died, choosing solitude over dreams. Forced to return to her hometown and her old flame, she can feel her defenses crumbling. Can she let go of the haunting history holding her back? Evangeline’s life revolved around the water until she nearly drowned. Six weeks later, she returns to the beach to confront her fears, and Gregory Owen, the surfer who saved her life. When her heart remembers but her head doesn't, will one photograph change everything? Claire didn't need her memories when everything within her knew she loved him. 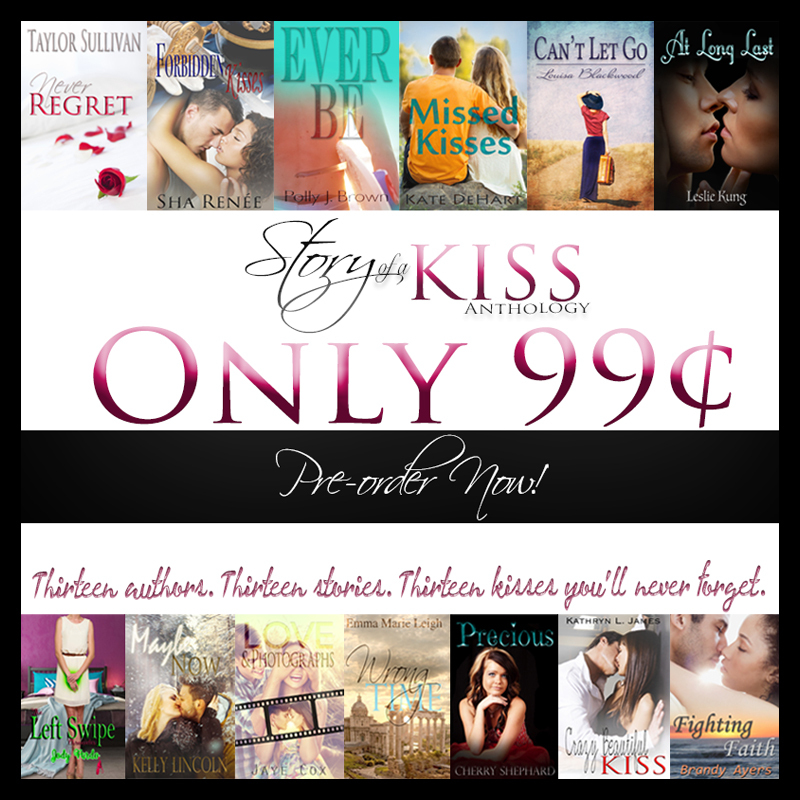 At nineteen, Jasper, the love of Faith’s life, shattered her heart. Now, ten years later, they’re forced together once more. Can she hold onto the last few remaining pieces of her heart? Struggling with the recent death of her mother, Jess finds solace in her best friend Ben. Years of sweet memories cause their feelings to grow, until he does the one thing that could tear them apart. Roommates Liz and Michelle venture into the world of online dating. After a series of bad first dates, how many swipes will it take to find her Man of Steel? 18 year old Precious Montgomery is a nobody, she’s never even had her first kiss . . . but that’s about to change. Precious has to decide what’s more important; what she’s always wanted . . . or what she’s always had.